The Henry Ford Maplegrove Center is an addiction rehabilitation facility under the Henry Ford Health System Corporation—which was founded in 1915 by Henry Ford—and has been one of the leading providers of healthcare in the Detroit area for decades. The center recognizes that each patient recovers differently and thus aims to offer all patients with individualized and effective treatment plans to help them achieve a full and long-lasting recovery. The choice of treatment plan largely depends on assessment the facility offers its patients. These assessments usually involve psychosocial evaluation and physical examination. The center utilizes a clinical and holistic approach to recovery by offering clients evidence-based treatment, family support, comprehensive treatment of the specific addiction, and dual diagnosis support. The facility provides treatment for patients suffering from mental health afflictions like depression, anxiety, and other problems. The facility offers detoxification, medication-assisted treatment; inpatient and intensive outpatient programs. The center also has special programs for teenagers (outpatient addiction treatment and intensive outpatient program), women, and expectant mothers dealing with addiction problems. The facility understands that women including pregnant women have unique needs when dealing with issues of addiction and offers them the medical care they need to overcome addiction. The facility boasts of competent staff ranging from addiction-certified, experienced psychologists and physicians to nurses and social workers. The Henry Ford Maplegrove center is capable of housing up to 40 residents in its inpatient unit although, clients do not have any private accommodation. Residents sleep on bunk beds and live in hospital-style rooms separated by gender. Meals are provided thrice daily for the residents including a single snack per day. Dietary accommodations are usually made for residents and meals are prepared in the cafeteria. There are also vending machines and gift shops accessible to residents. Clients are advised to bring along some important items when arriving for treatment. Some of these include one suitcase, comfortable apparel, prescribed medications in their original bottles, and non-alcoholic personal hygiene items. The facility also prohibits any of the following items: any and all electronic devices, heating pads, illicit substances, any food or snacks (as these are usually provided), and musical instruments. The facility offers a detox treatment program, which hinges on safety, for individuals suffering from the effects of substance abuse by helping them treat immediate symptoms reduce the risk of complications. Inpatient and outpatient detox options are available for all patients. This program starts with an assessment process before a treatment plan is designed for the patient. This program may include medication-assisted treatment and psychiatric evaluations if necessary. Individual and group therapy may also be offered at this stage of treatment. The center offers an outpatient program for teen and adult patients which afford them the chance to engage in their individualized treatment plans without having to live at the facility. Detoxification and medication-assisted treatment may also take place in this program. The facility has over 1200 physicians in over 40 specialized practices and offers holistic treatment programs such as; yoga, meditation and mindfulness, and acupuncture. The facility encourages the client’s family and friends to join the family treatment program. The facility in its entirety has been in business for over 40 years and this gives a certain kind of confidence and trust in its dependability, professionalism, and quality of services. Specializing in over 40 practices, the facility is able to meet a full spectrum of needs required by clients or patients, using the knowledge and skill gained from experience. 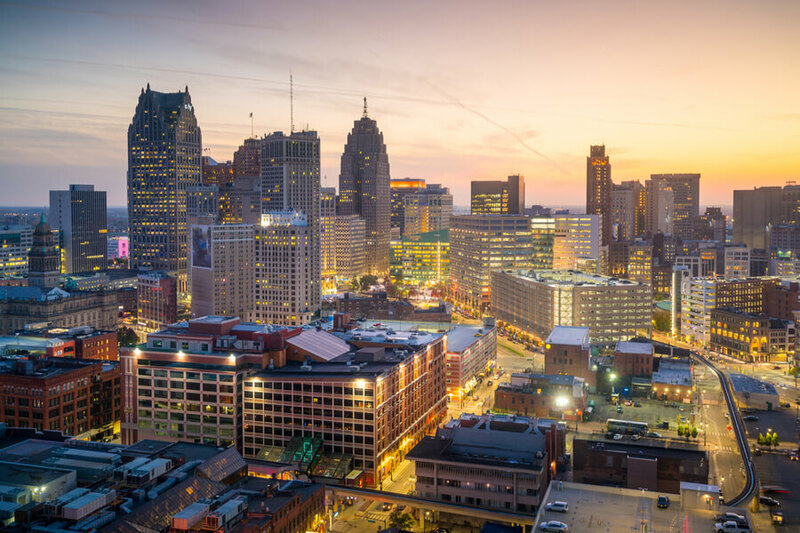 The facility is a great choice for clients living in the Detroit area and looking for an experienced clinical treatment approach. Rebecca studied in New York at The American University of Antigua and has board certifications from the American Board of Addiction Medicine for Addiction Medicine and The American Board of Internal Medicine for Internal Medicine. She completed her internship and residency at the St. Mary Mercy Hospital in Michigan and her fellowship at St. Joseph Mercy Hospital in Michigan as well. Michael went to the University of Michigan and has multiple board certifications such as; The American Board of Family Medicine (Family Medicine) and The American Board of Preventive Medicine (Addiction Medicine). He also completed his internship and residency at the University of Michigan specializing in Preventive Medicine. Joshua got his degree from the St. George University (School of Medicine) and has multiple board certifications such as; The American Board of Psychiatry and Neurology in Addiction Psychiatry and Psychiatry. He completed his residency at the Facility in Michigan (Internship at the facility as well) and her fellowship at the Case Western Reserve University in Ohio.